Lexus gave clues for its upcoming model long back. 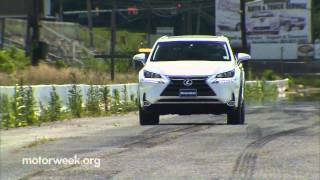 The entire SUV NX lineup, 200, 200t, 200t F Sport and our model of today Lexus NX 300h 2015. It started with the base model and the last one, a hybrid model getting power through the company’s new engine. Let us have a look ahead and see what all this new release has inside out its hood. Interior of Lexus NX 300h 2015 is unique with its impeccable amalgamation of beautiful structure and use of luxury materials in creating the interior. Apart from this the hard metallic surfaces get well contrast from the soft touch materials around. Over the center instrument panel you’ll notice a silver frame surrounding. At the bottom of center stack company has located knee pads, so as to provide support for driver and passenger. 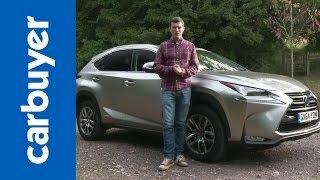 There is enough of headroom inside the Lexus NX 300h 2015, thanks to the low hip point feature. Few more features that come as standard with Lexus NX 300h are, wireless charging tray, multi-information display, heads-up display, Blind Spot monitoring and Radar Cruise Control. Exterior of Lexus NX 300h 2015 is created to grab all the attention with its distinct roofline and low-profile. Starting with the front fascia you’ll notice the massive grille mounted amidst the two lightning LED neighbors with integrated daytime running lights. Adding more to the aggression and conveying the power of engine through its looks joins, the 17” wheels as standard, however option for 18” is also open for those who intend to add more sportiness. Moving towards the rear fascia our eyes were grabbed much with the ‘L’ shaped combination lamps and exhaust tip at the bottom with chrome face. 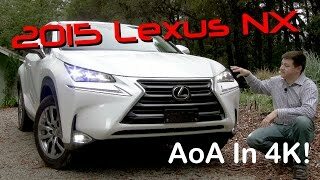 In the entire Lexus NX 300h 2015 exterior to us looked highly attractive, innovative and aggressive design which every well conveys the power it is carrying beneath its hood. 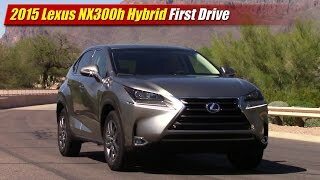 Though there isn’t any word from the house of Lexus in context to engine inside NX 300h 2015 but speculations are on peak. We too expect it to be a 2.5 Liter engine accompanied by a battery; power no clues. Lexus might use the battery while only taking reverse gears, like it used in other hybrid models. Rounding up this segment we would just say that we’ll update the performance specifications as soon as company will share them.